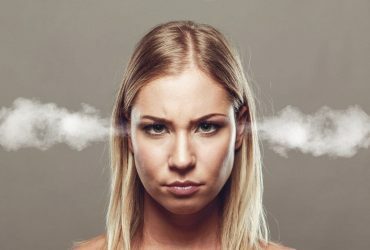 Finding high protein low carb snacks on a vegan diet is tough. 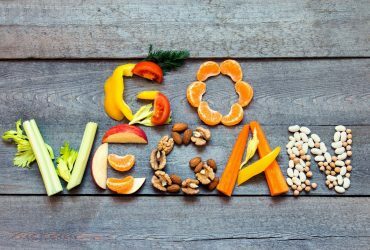 Since most plant foods contain a higher amount of carbohydrates than their animal counterparts, it’s crucial to have a list of go-to vegan snacks that fit your diet. Not only that, it’s always fun to experience new tastes and flavors with everyday foods. Additionally, all carbs are not created equal. Net carbs represents the total carbohydrates minus the fiber. 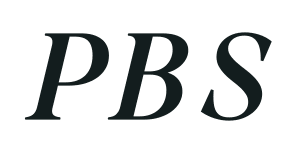 Since fiber does not raise blood sugar levels, low-carb dieters should focus on net carbs rather than total carbs, in both packaged and whole foods. Learn below about the products and recipes that will keep you fuller for longer and align with your health goals. 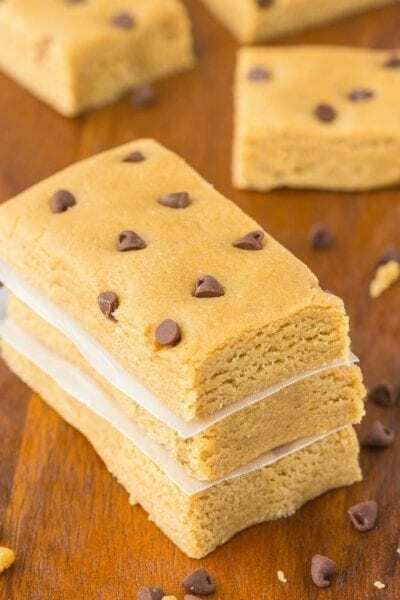 Plant-based protein powder may very well be the easiest high protein, low carb snack on this list. With seemingly unlimited brands to choose from, adding your favorite powder with 8-12 oz water makes for another easy, on-the-go option. If you have any food allergies (especially soy), make sure to read through the ingredient list before purchasing. Orgain is a popular and affordable brand that you can find on Amazon or in most Costco locations. One serving (two scoops) of Orgain Sweet Vanilla Bean: 21g of protein and 10g net carbs. Keep it simple and eat a handful of almonds. Along with being high in protein, almonds are high in fiber, which will help you stay fuller for longer. They also contain several phytonutrients that protect your heart from cardiovascular disease and stroke. 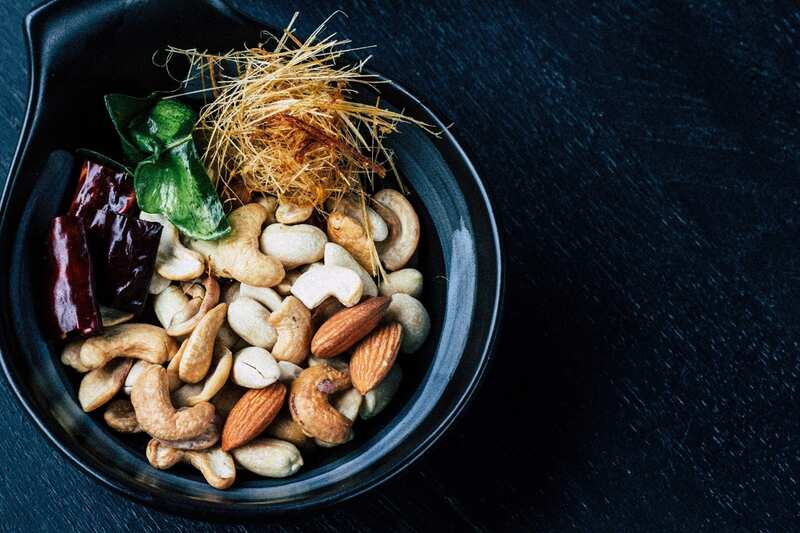 But it’s important to remember to limit nuts to a maximum of two servings per day, because they are a calorie-dense, which makes them easy to overeat. Grab a bag here and get snacking! A one ounce serving of almonds: 6g protein and 3.6g net carbs. Nuts and seeds have been touted for decades about their health promoting benefits. Sunflowers seeds in particular, are extremely high in Vitamin E which help protect the body from aging and is directly involved with helping our organs function properly. Not only that, they contain antioxidants that repair our DNA from damage (aka cancer fighters). Healthworks Organic Sunflower Seeds are a fantastic, inexpensive sunflower snack option. A one-fourth cup serving of sunflower seeds: 9.6g protein and 5.2g net carbs. Notice a trend with nuts and seeds? They are protein powerhouses that are naturally low carb, and ideal for health. Pumpkin seeds made this list, in particular because of their magnesium content. Magnesium helps with many functions in our bodies like lowering blood pressure and fighting depression. However, it’s arguably most notable for improving PMS symptoms in women. What’s more is they packed with iron, an essential mineral for vegan health. Buy in bulk with a three-pound bag here. A two tablespoon serving of shelled, roasted pumpkin seeds: 8g protein and 2g net carbs. Plant-based protein bars have exploded in the last five years. Plant-based proteins has skyrocketed in popularity. This has led old and new companies alike to configure protein bar formulas without using dairy or eggs. No Cowhas taken that a step further and kept it low carb too. With eight flavors to choose from, you can find a No Cow Bar that tastes good and provides you with high quality plant protein. One No Cow protein bar: 20g protein and 6g net carbs. Seitan is another high source of protein that is made from wheat gluten and takes to a similar texture of meat. Like it’s protein cousins tempeh and tofu, seitan stems from Asian cuisine from centuries ago. You can prepare seitan at home for much cheaper than you’ll find in commerical products. Use this recipe, then slice the cooked seitan into thin strips for snack time. You can store this in the fridge for up to 10 days or in this freezer for up to six months. One cup of vital wheat gluten: 90g protein and 13.2g net carbs. Peanut butter lovers rejoice! PB2 is the perfect solution for those who love peanut butter, but don’t want the extra calories. At a mere 45 calories per serving, PB2 can be added to shakes and smoothies as a low-fat, low carb, and high protein replacement to peanut butter. You can also add it as a flavoring agent to stir fry or even in baking! One serving of PB2 Powder: 4g protein and 3g net carbs. Crispy, crunchy, and delicious. That is the flavor profile behind The Good Bean, a company that provides you with a healthy snack alternative. It’s time to put down the bag of chips and trade it for a crunchy snack that’ll satisfy both your taste buds and your body. The Good Bean chickpea snacks have protein and fiber so you actually stay full after eating them. Grab a box of their 6-count variety pack from Amazon. One serving of chickpea snacks: 6g protein and 12g net carbs. Trail mix (especially homemade trail mix) is an easy and inexpensive way to eat a high protein, low carb snack. Choosing nuts like almonds and pistachios will give you the highest amount of protein bang for your buck. Also, consider adding walnuts because they provide you with crucial Omega-3 fatty acids. For a sweet, low carb, add in 1/2 cup or less of dried fruit or toasted coconut. Use this recipe to help keep it low carb. A one-fourth cup serving of trail mix: 5.1g protein and 6.1g net carbs. Nut butters have been a staple for the low carb community for decades. Nowadays, there are more options than ever to choose from including peanut butter, almond butter, cashew butter, or even sunflower seed butter. Spread it on toast or eat it straight of the jar (on occasion of course). Although, make sure to opt-in for the jar that has the least amount of ingredients. That way, you stay away from harmful added oils and sugars. Two tablespoon serving of freshly ground peanut butter: 7.2g protein and 5.6g net carbs. Hemp seeds (the seeds of a hemp plant) boost an exceptional nutritional profile that should be included in all plant-based diets. Although it comes from the same plant as marijuana, it doesn’t produce the euphoric effect because the THC content (the active ingredient in marijuana) is minuscule. Hemp seeds are beneficial because they contain all 9 essential amino acids we need in our diets. This is known as a complete protein. Grab this 2lb bag of hemp seeds. One ounce serving of hemp seeds: 9.2g protein and 1.3g net carbs. Chia seeds are another high protein food that are full of beneficial Omega-3 fatty acids. This brain-boosting, high protein snack forms a gel-like substance when mixed with liquid, which is the basis behind chia pudding. Simply mix two tablespoons of chia seeds with ½ cup of coconut milk and let sit for 2-3 hours in the fridge before serving. You can garnish with lemon zest, orange zest, or even some chocolate shavings for a little sweetness. One serving of chia pudding with chocolate shavings: 3.5g protein and .6g net carbs. Lupini beans are #1 in plant protein. Even when compared to rock stars like quinoa and lentils, they still hold the crown. Brami Lupini Beans hail from the Mediterranean with deep roots that date back all the way to the Roman empire. Though beans are well-known as staples in the diets of the longest living populations, lupini beans often slide under the radar. Purchase this king of protein on Amazon. One serving of Brimi lupini beans: 7g protein and a whopping 0g net carbs. Tempeh is made from fermented soy beans and originally hails from Indonesia. It’s a great high protein, low carb snack option for many reasons, but most notably because of its probiotic compounds. Probiotics feed your gut bacteria, which helps reduce bloating and supports regular bowel movements. Since tempeh comes packaged fermented, you can eat it both raw or cooked. 3.5 oz serving of tempeh: 20.1g protein and 2.8g net carbs. Did you know garbanzo beans and chickpeas are the same thing? The reason it has two names is because different regions of the world prefer different connotations of this highly, nutritious legume. 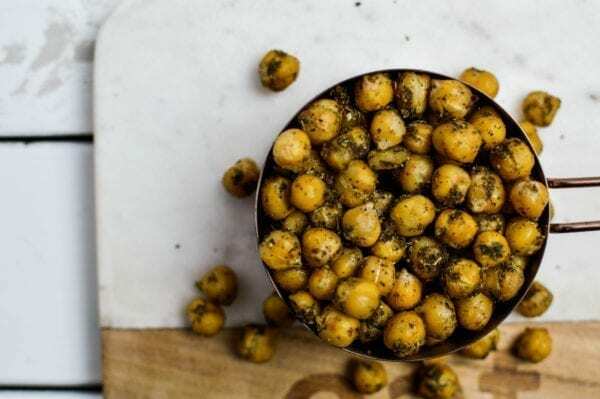 Roasted garbanzo beans (or chickpeas) are a quick and easy recipe that you can have finished in less than 30 minutes. Try this Crunchy Greek Roasted Chickpeas recipe to get you started. 1 cup of boiled garbanzo beans: 7.5g protein and 16.25g net carbs. Popcorn is healthy as long as you follow two rules. It’s air-popped and topped with nutritional yeast. Following these two rules ensures your popcorn isn’t coated with unhealthy oils or chemicals found in bagged popcorn on store shelves. Using nutritional yeast gives popcorn its desired “cheesy” flavor, along with making it an excellent high protein, low carb snack. One cup serving of air-popped popcorn, plus two tablespoon serving of nutritional yeast: 8g protein 3.6g net carbs. Meatless Mondays are now a thing, thanks to companies like Gardien and their meatless munchies. Made from both soy and wheat gluten, their Meatless Chik’n Strips are a convenient high protein option. Taking only minutes to prepare, you can saute these strips in oil (only enough to prevent sticking to the pan), and keep them handy for snack time. Gardein also has several other meat alternative options to meet your unique taste buds. One serving of the Meatless Chik’n strips: 15g protein and 2g net carbs. Commercial protein bars are convenient, but can get costly and are sometimes filled with too much added sugar. Instead, save yourself some money by making your own. Low carb baking is as easy as swapping all-purpose flour for a higher fat option like almond or coconut flour. 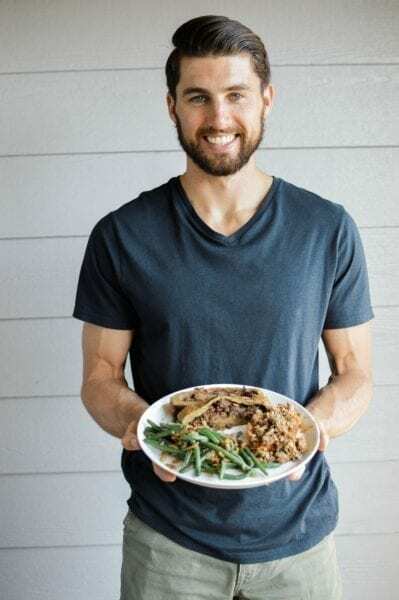 This three ingredient recipe from Big Man’s World marries high protein and low carb perfectly. It’s vegan, gluten-free, and paleo. One serving (one bar of 10): 11.7g protein and 4.1g net carbs. Still packing sandwiches for work using 9-grain bread? It’s time to upgrade to Whole Wheat Ezekiel Sprouted Bread. Why? The Ezekiel brand is one of only vegan breads available world-wide and is a nutritional tank. It’s built with a specific combination of plant proteins from beans and grains which offers all 9 essential amino acids; aka complete protein. Keep this bread handy for quick high protein, low carb snack. One slice of Ezekiel bread: 4g protein and 12g net carbs. Thanks to the plant-based boom in the last decade, Greek yogurts have received a makeover. You can now indulge in dairy-free Greek yogurt alternatives! 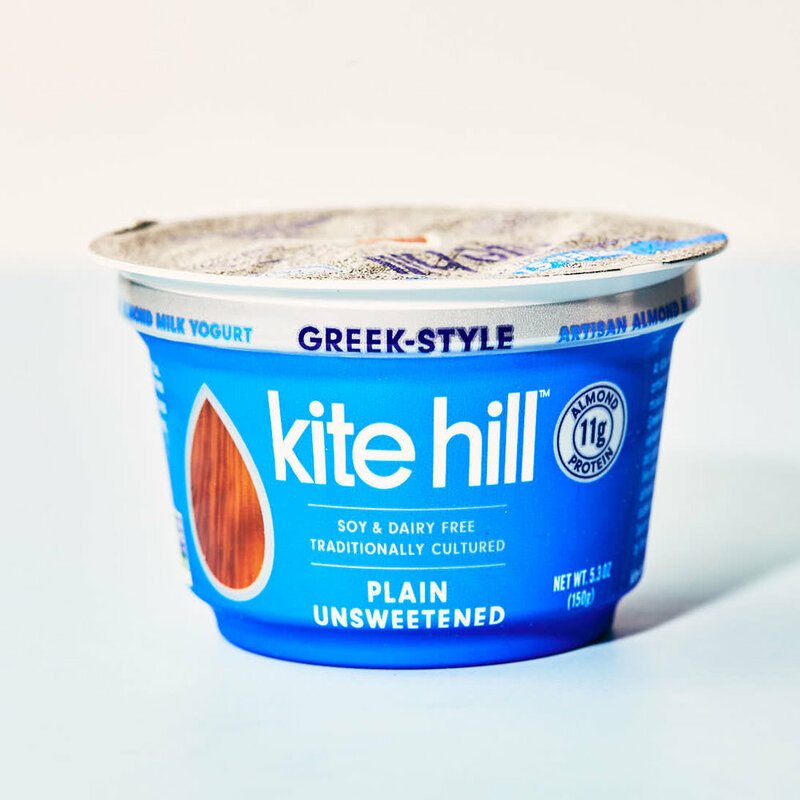 Kite Hill’s Greek Plain Unsweetened Yogurt is a fantastic high protein, low carb snack for those on-the-go. Not only is it vegan, but it’s soy-free, gluten-free, and Kosher! Use their product locator tool to find Kite Hill yogurt in a store nearest you. 5.3oz serving (1 container) of Ripple Original Alternative Greek Yogurt: 11g of protein and 7g of net carbs. Many times smoothies don’t fit the criteria of low-carb, but this Minty Green Protein Smoothie from Sugar Free Mom begs to differ. With the help of the stevia plant, this deliciously healthy smoothie is sweetened with zero, added sugar. Stevia is naturally zero-calorie sweetener and is 10x sweeter than table sugar, making it the ideal sugar substitute. One serving of this Minty Green Smoothie: 14g protein and 5g net carbs. This member of the legume family, edamame beans, are another plant source of complete protein. They are young soybeans that get harvested before they fully ripen. You can find them both fresh and frozen, in a pod or shelled. Edamame pods can make for a fun snack because you can squeeze them out of the pod into your mouth! One cup of frozen edamame beans: 18.46g protein and 5.8g net carbs. Quinoa is an ancient grain superfood that has been popular for decades in both the East and West. Grown for its edible seeds, the quinoa plant is a pseudo-grain. Not only is it one of the few complete plant proteins, it also packs a considerable vitamin profile, along with being gluten-free. Consider batch cooking quinoa before your week starts. Garnish a one-half cup serving with a squeeze of lemon and couple of dashes of salt and pepper for a quick snack. You can snag a bag of Quinoa here. One-half cup serving of quinoa: 4g protein and 17g net carbs. Avocado Boats are another fun way to snack healthy and keep it low carb. Minimalist Baker’s Avocado Boats recipe is easy, inexpensive, and done in less than 30 minutes. No time to cook? 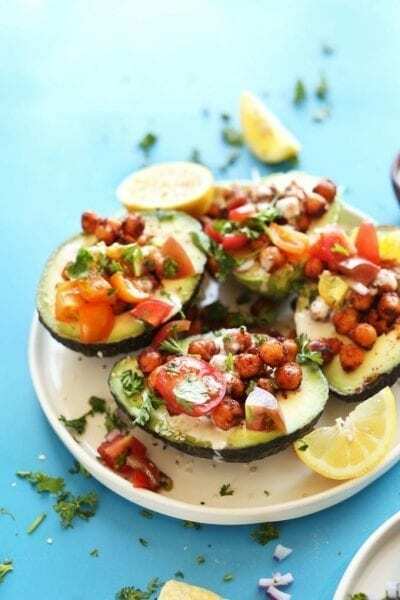 Simply top an avocado with some chickpeas and you’re ready to eat! One serving of Minimalist Baker’s Avocado Boats: 5g of protein and 10.7g net carbs. Primal Spirit Foods Meatless Vegan Jerky is the vegan’s slim-jim. It’s portable and easy to eat with one hand. There are six flavors to choose with flavors like Mesquite Lime and Texas BBQ. The best way to try Primal Strips Jerky is their sampler pack on Amazon. One serving of teriyaki flavored Primal Strips Jerky: 11g protein and 6g net carbs. Chickpeas have made several appearances on the list, and for good reason. Hummus is another high protein, low carb snack that you can buy prepared or make yourself. Typically, store-bought hummus is loaded with oil, so you’re better off making it yourself. It’s as easy as adding the ingredients to a food processor and blending until smooth. The Full Helping has a High Protein Hummus recipe that keeps fits the low carb approach. One-fourth cup serving of hummus: 6.2g protein and 9g net carbs. Tofu is a staple source of protein for vegans and vegetarians alike. Thanks to tofu’s ability to absorb liquid, it can take on any flavor profile. For best results, allow your tofu to marinate for at least 30 minutes, but up to 8 hours. It can then be fried, baked, or grilled to ensure a crispy outside, and flavorful inside. Prepare ahead of time and slice into thin strips for snacking. Cooked tofu will last up to five days in the fridge. One-half cup serving of tofu: 10g protein and 1.9g net carbs. 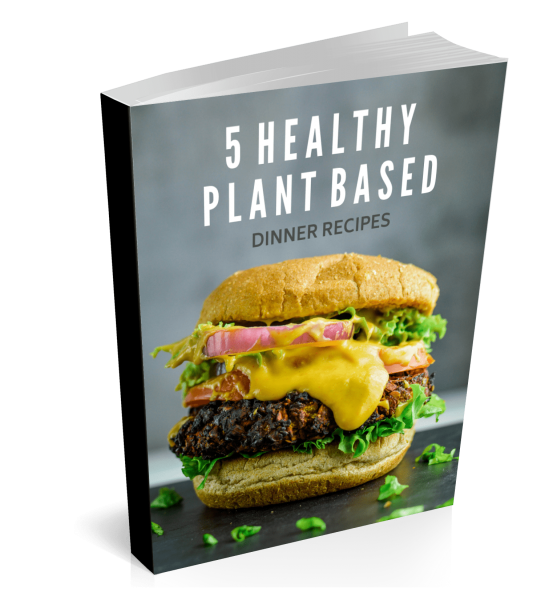 If you’re aiming for a lower carbohydrate approach while still eating a plant-based diet, then this list will help you navigate the complex marketplace. 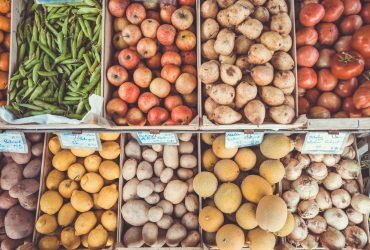 Though fruits and starches are nutritious, it’s nice to have options to go low-carb. Which choice on the list is your favorite? Share in the comments below. Thanks Tracey! I am glad you enjoyed the article and the recommendations! So glad this list was able to help you! You’re very welcome for it. I hope you enjoy Larry!